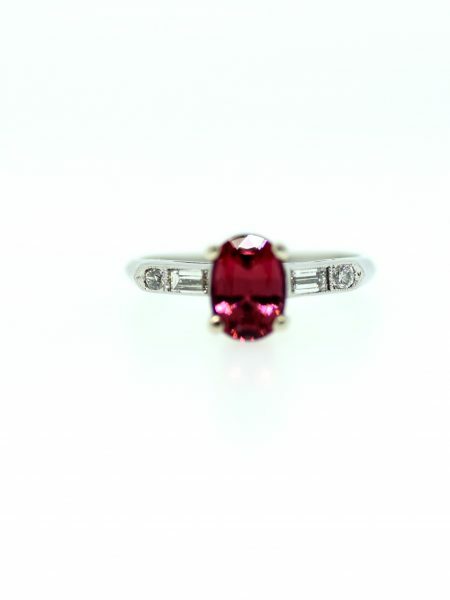 Platinum diamond and pink spinel non-traditional engagement ring. 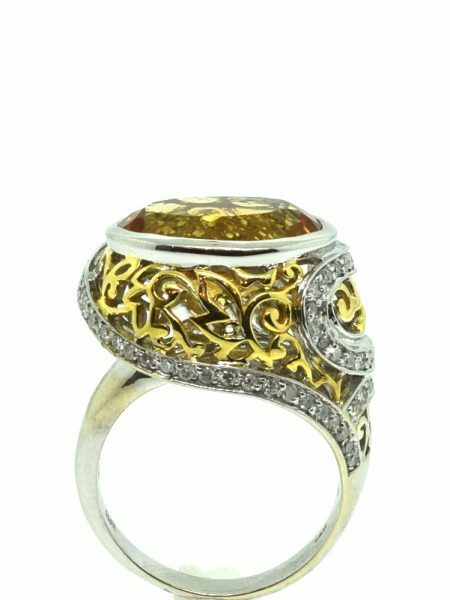 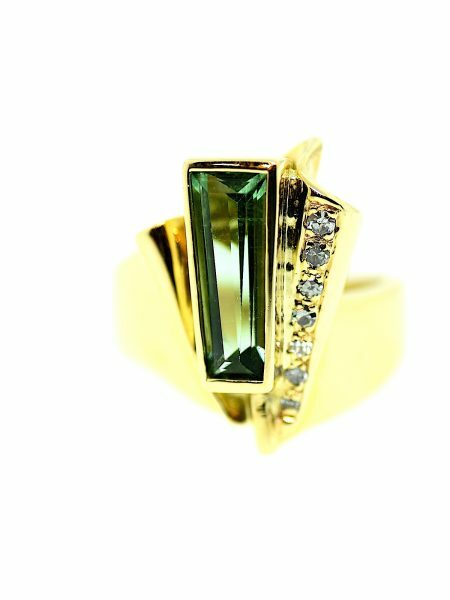 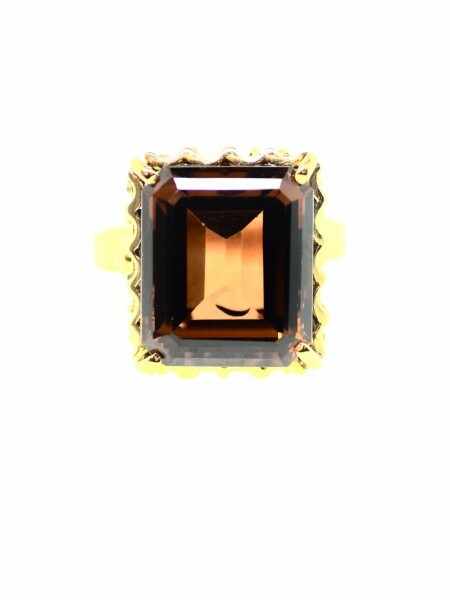 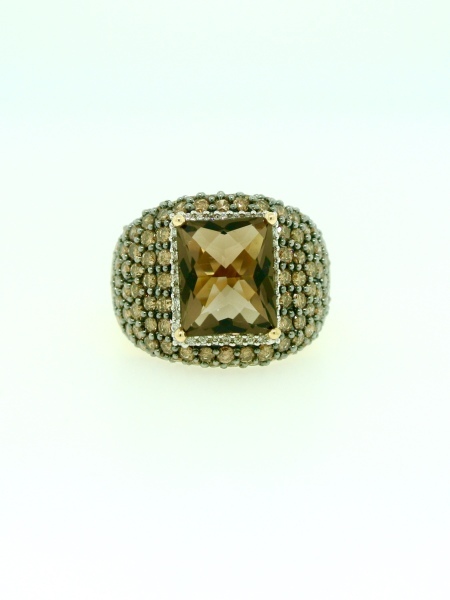 14k yellow gold, smokey quartz, and brown diamond ring. 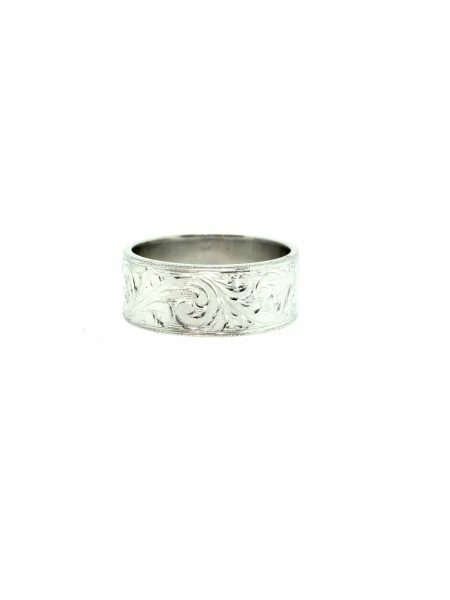 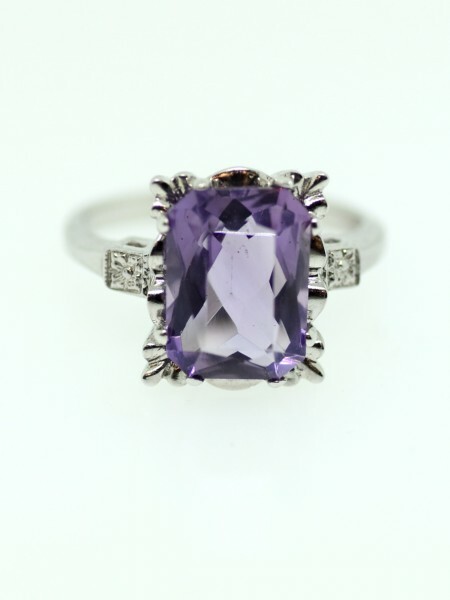 14k white gold amethyst cocktail ring. 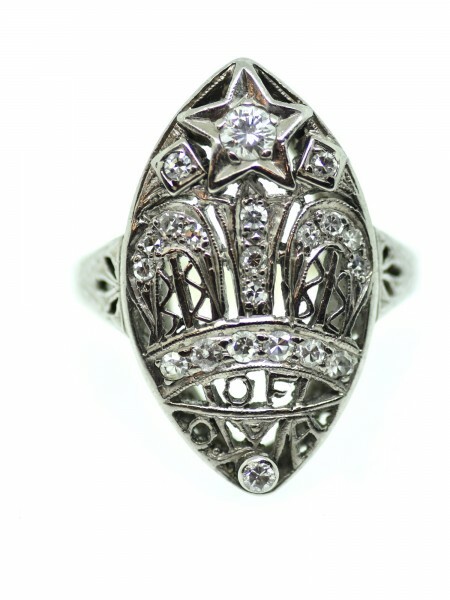 Circa 1950. 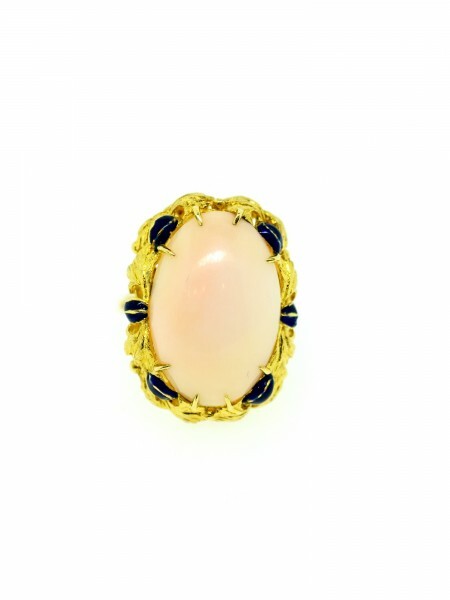 14k yellow gold coral and blue enamel cocktail ring. 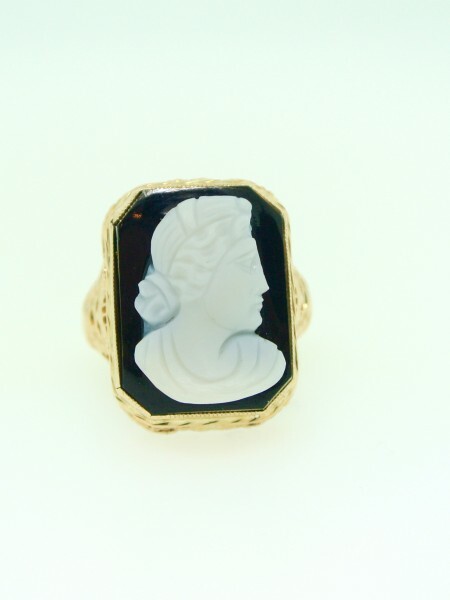 Vintage, 14 karat gold, filigree, chalcedony cameo ring.